I know we’re a few days into February, but I figured I could still get this post out to you guys. Adultolescence: a book of poems written by YouTuber Gabbie Hanna. The Name of God is Mercy: a conversation between Pope Francis and Andrea Tornielli on the subject of mercy. And I started this book in 2018. Dracula: The classic vampire story by Bram Stoker. Positively Pooh: Timeless Wisdom from Pooh: a book of advice from Winnie the Pooh and his friends. Don’t Look Back: a thriller/mystery about a girl who lost her memory and has to deal with the consequences. Making Missionary Disciples: How to Live the Method Modeled by the Master: a book outlining how to be in discipleship with others. The End of Always: a historical fiction novel with intense themes and character relationships. 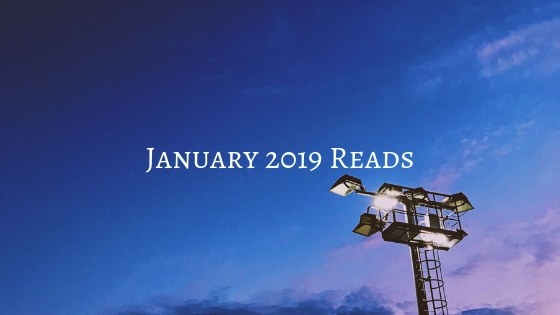 My favorite book from January was probably Don’t Look Back, and my least favorite was probably Dracula.